Most magazines are doing a review of the year 2015. Meanwhile, we take a look back at the year 1015. 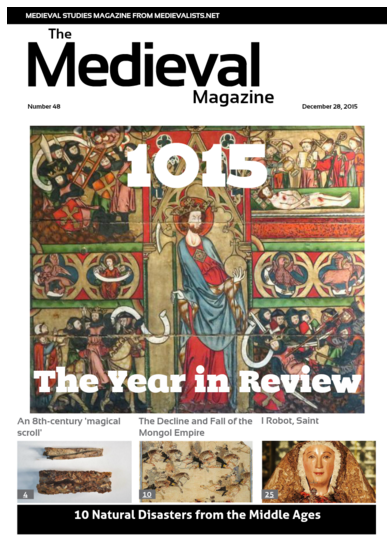 Plus, Mongols, Normans, Magical Scrolls and Robot Saints all in this issue of The Medieval Magazine.